So wrote an Australian prisoner-of-war, Corporal Lancelot Davies, only recently taken prisoner at the first battle of Bullecourt, on 11 April 1917. For him-like another 1,200 Australians captured at Bullecourt-the future was indeed 'blank' and unpredictable. The experiences of Australian prisoners of war (POWs) or Kriegsgefangeners held captive in Germany has been largely forgotten or ignored-overshadowed by the horrid stories of Australians imprisoned by the Japanese during World War II. 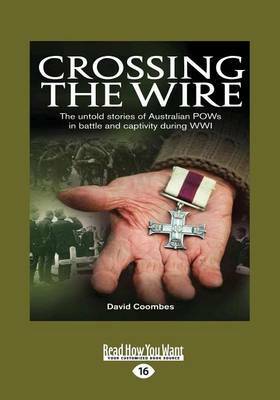 Yet, as David Coombes makes known, the stories are interesting and significant-not only providing an account of what those young Australian soldiers experienced, and the spirit they showed in responding to captivity-but also for the insight it provides into Germany in the last eighteen months of the war.